The Worst President in History has been re-released. It has been updated! We’re very proud of this book and are pleased that it has done so well. Just to tip you off, Matt and I just got another idea for a book, so stay tuned. And buy this one, if you haven’t! So, there’s this anti-ICE camp and, get this, they’ve set up borders for the camp and they strictly control who is allowed inside. I’d accuse them of hypocrisy, but there’s just no point because they are shameless. California, since 1968, has been granted waivers to go beyond the national clean air standards – and the liberals of California have used these waivers to leverage the rest of the nation to subscribe to California’s clean air standards. Looks like the EPA may end that practice. On one hand, this is good as it prevents California from effectively dictating national auto emission standards…on the other hand, the more unlivable the liberals make California, the closer we get to the day the liberals are crushed in California. I’m distressed that we might be helping the liberals get rid of some of their own stupid mistakes. Looks like the North Korean are dismantling at least some of their nuclear infrastructure. The MSM has been relentless in not covering this. There was yet another in the series of “waiter gets racist note” events. Naturally, the MSM ran with the story…and just as naturally, it has now proved false. You might be thinking: why do they keep doing this? Well, the reason is that the retraction never gets much notice, at all, and zero notice on the left. Rely on it, most people of the left firmly believe that each of these events actually happened, just as they still believe “hands up, don’t shoot” is true. 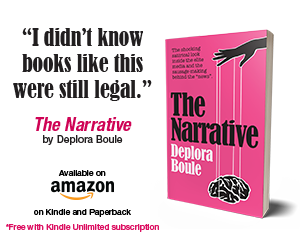 These stories aren’t for you and me: they are for the true believers of the Left, to keep them at a fever pitch. Have any of you seen Interstellar? Every time I hear people talking about it, they are saying it is the very worst Sci-Fi movie ever made. I think it the best. If you’ve seen it, what do you think? I don’t put much stock in polls, but it is interesting that this poll shows Millenials moving away from the Democrats. Makes sense – when all you offer is identity politics and outragey outrage, kinda gets dull. Now, I know a lot of my fellow Conservatives will attack me on this, but let’s nail these kids down for our side for a generation: annul the student loan debt. Or, at least allow kids to go bankrupt on it. The whole thing was merely a scam to get utra-liberal Colleges rolling in dough which they would then use against us. Get rid of it – and get the kids out of debt. The Israeli Mossad apparently carried out the intelligence coup of all time – getting a massive amount of documents detailing Iran’s nuclear program. The most important thing about it is that it shows Obama was either a fool or an idiot to enter the Iran Deal (but, you already knew that). Seems that FDR was also looking for a settlement of the “Jewish Question.” Now, to be sure, FDR didn’t even imagine anything along the lines of Hitler’s settlement, but it is interesting to note just how Progressives viewed (and continue to view) things…how eerily akin it all is to the worst aspects of fascist and Communist thinking. For those of us on the right, there never was a “Jewish Question”. Jews are people and are entitled to all the rights and privileges of everyone else…the only “settlement” is to ensure that Jews, and everyone else, enjoys their God-given rights. What they do with them, after that, is up to them. But Progressives don’t look at it like that – people are a “problem” that needs solution. Naturally, they are the only people equipped to solve the problem. With the possibility of peace looming in Korea, it is important that you get to North Korea before Capitalism ruins it: Kim Jong-un wants a McDonald’s in Pyongyang. To me, this is a disastrously bad idea that only a Communist tyrant could think of. McDonald’s being just terrible! 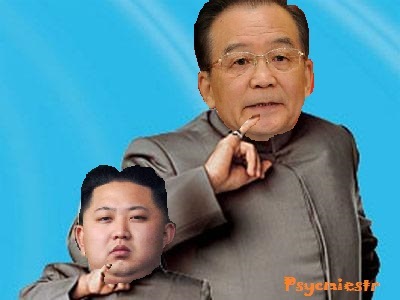 Joking aside, I don’t know how this Korea peace move will work out. I’ve just gotta figure that the North Korean’s are working an angle. But in and among that angle there just might be a desire to no longer be poor and miserable. Reports over the past couple years indicate that even the elites are not getting as much as they used to. Kim Jong-un may believe he can pull off what Deng Xiaoping did in China back in the 70s: keep his regime firmly in control while allowing sufficient economic openness to allow for real growth. South Korea, on the other hand, would be willing to give up a lot, I think, to permanently remove the North Korean threat to their own prosperity. As an America, I’m willing to also give up quite a lot if it really means no nuclear weapons in North Korea. Let’s hope for the best. Donald Surber takes a look at the upcoming West Virginia Senate battle…and notes that Manchin may end up having trouble against a GOP candidate who was blamed for the deaths of 29 miners. If so, it would indicate the Democrat party is dead in West Virginia. Ace looks at Jake Tapper’s new novel and it is rather brutal. I hope mine comes off better. Doing the second draft, now, with some extremely valuable input from some people I highly respect. To me, its a good story about to become a great story. But, we’ll see. Hope Ace likes it. I finished the first draft of the novel – will be working on revisions to it for a while, maybe weeks, perhaps a few months. It has been a lot of fun writing it. Just how much fame can one person milk simply for witnessing a tragic event? As if countless television interviews, a nationwide rally, and a highly publicized boycott effort weren’t enough to satisfy the apparently inflated ego of Marjory Stoneman Douglas High School student David Hogg, he has now scored himself a book deal. The book, titled #NeverAgain, will be published in June by Penguin Random House—one of the biggest publishers in the world. A lot of people go gleeful when Hannity’s name came up in the wake of the Cohen raid – and nothing better illustrates how stupid our opponents are than this. First off, in thinking there would be anything legally incriminating about Trump in that office and, secondly, in their blind inability to see that if the attorney-client privileged can be violated in one case, it can be in others. It’s like they don’t realize that carefully filed away in law offices across the nation is enough information to destroy the entire Ruling Class. Luntz did a focus group on Comey and found that a lot of people don’t like his actions. This is the difference, guys: 20 years ago, the MSM – as much a tool of the DNC then as now – would be able to drive a Narrative and make it stick. If this were 1988, Comey would have 75% approval ratings and everyone would consider him a national hero. But that just doesn’t work any longer. The ability of the non-left to get the word out if vastly superior…and the MSM squandered its credibility defending the indefensible. The MSM is still able to have a large effect, of course…but it doesn’t dominate like it used to, and it is getting weaker all the time. Looks like Trump and Pompeo may have an shot of bringing a semblance of actual peace to the Korean peninsula. Naturally, the left and Never Trump is giving Trump no credit for this – in fact, some are condemning it outright. But, to me, it is a good thing…maybe it doesn’t work and, of course, North Korea will try to cheat. But if something could be done to take down the nuke threat and allow a sense of long-term security there, I’m for it. I’ll even say an agreement to withdraw our forces in return for verified termination of NK’s nuke program will be a good deal. At all events, our foreign policy under Trump is going in a very different direction from Obama…and even from previous Republican Administrations. I don’t know if it will all work – but it can’t possibly be worse than what we’ve done in foreign policy for a century. Along these lines, David Goldman has an interesting analysis of the foreign policy issues we face vis a vis Russia, Iran, China and the Middle East. It is a good read. McMullin is more qualified to run a McDonald’s than he is to be president. His campaign for president may be his undoing. “The Federal Election Commission sent numerous letters to the McMullin For President Committee over the last year warning that the organization risks fines for failing to file and for making errors on financial statements it did manage to submit,” the Daily Caller reported. James Traub over at Foreign Policy has an interesting article about how the United States should deal with China. While acknowledging that China is rapidly becoming powerful, Traub downplays any aggressive intent on China’s part, while also discounting any muscular, American response to China. The only really good thing I can say about the article is that it at least is an acknowledgment that China has to be dealt with in some fashion…for too long we’ve been blinded by an idea that all China wishes to do is make money, or that they were in some manner a strategic partner of the United States. But I do believe that Traub is not quite understanding what the Chinese government will do. Tyrants cannot hold still – they must continually advance, or they will fall. In Churchill’s trenchant phrase, they ride to and fro on the backs of tigers, and the tigers are getting hungry. The tyrants of China made a de-facto deal with the Chinese people post-1989: let us be in power, and we’ll let you get rich. This has, in fact, worked out to only a select few getting rich, mostly by ripping off the broad mass of the Chinese people…but the growing prosperity has kept dissent down in the cities while the army and security forces have proven capable of keeping dissent down in the countryside (though there are plenty of tales of riot and rebellion in the backwaters of China). The problem for China is that they have advanced about as far as they can under their current system. They can advance further – but only by bringing rural China in to the economic mainstream, and by freeing up the political system so that corrupt (which eats like a cancer at the Chinese economy) can be fought. Neither course of action appeals to China’s Ruling Class. But they can’t stand still – they can’t do what is necessary to make the next step forward economically, but they also can’t just let things stagnate…what is already bound to be a Chinese recession will become a very hard landing unless China changes internally…or finds some external means of deflecting attention. The recently aggressive behavior of China in foreign affairs is not a reflection of China’s actual might – they don’t have that sort of power as of yet. Won’t have it, really, for 20-30 years, if ever (China’s coming demographic decline may rob China of the sinews of power just when the infrastructure if finally there). They are blustering…hoping to grab what they can, and preparing for a foreign confrontation which will (in the Ruling Class’ view, at least) cement the loyalty of the Chinese people and serve as the excuse for the coming bad economic times. The bottom line for us is to get prepared for this – by forging a rock-solid alliance with India, making a defense arrangement with Vietnam, and re-founding our alliances with Japan, South Korea, Taiwan and the Philippines. It is a certainty that China will try something – what it will be remains to be seen. I suspect a move against Taiwan in conjunction with a Chinese-inspired, North Korean attack on South Korea and/or Japan (ie, draw off American power to northeast Asia while China moves in the South China Sea…we can’t be everywhere at once, and Taiwan for most Americans would be a doubtful proposition for a full scale war…it shouldn’t be, but it would be). But as we can’t know for certain, better to be prepared for all eventualities…and if this takes some increases in naval and aerial strength, then we’re going to have to bite the bullet and do it (as an aside, the really good thing about alliances and agreements with India and Vietnam is they provide ample land power without the United States having to deploy millions of troops). The most important first step is to recognize that China is an enemy State…that we must not have close economic and military relationships with the Chinese. That we must inform them that any attempt to change the status quo in Asia and the Pacific will be met with a forceful American response.